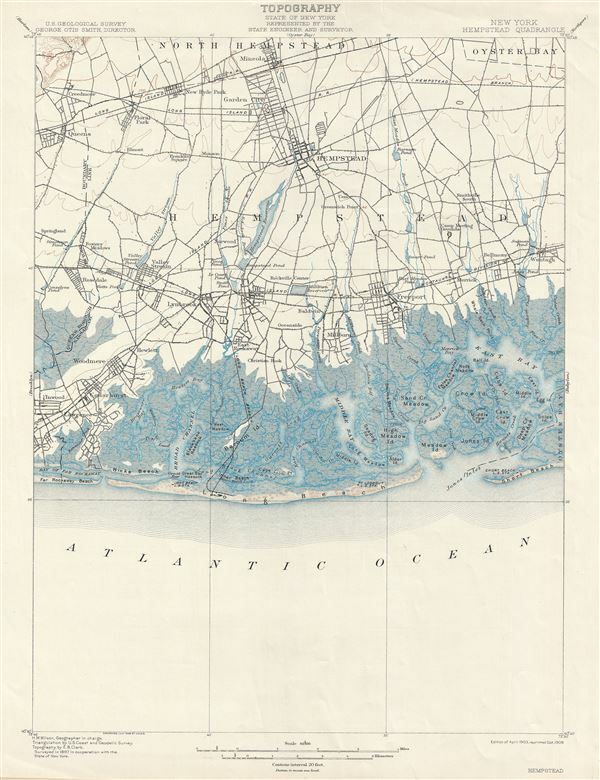 An attractive topographical chart depicting Hempstead, Long Island (New York), including Freeport, Hempstead, and Long Beach. This map includes some submarine details but is primarily a topographical map. The whole is highly detailed with important buildings, trains, and rail lines noted. This map was originally surveyed in 1897 by H. M Wilson based on U.S. Coast Survey triangulations of the region. The topography is the work of E. B. Clark. This map was first printed in 1903, with reissues in 1909 and 1925. The present example is the October 1909 issue.